Thanks to Technologizer, I'm aware of Scribd's newest feature, the ability to send their docs to mobile devices, including Kindle and iPhone. 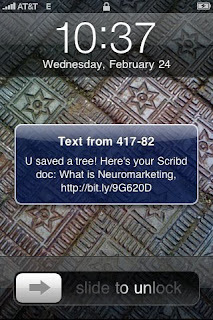 See Harry McCracken's excellent description of the process ("Scribd goes mobile"). I tried it (above), and like it! BTW the doc I used is an academic treatment of one of my favorite subjects, Neuromarketing. HP (NYSE HPQ) 1st quarter 2010 results -- back to printing green! HP's earnings came out today after the markets closed and the company reported some major good news. In addition to an overall 25% profit increase, exceeding analyst consensus expectations, and updated positive guidance looking ahead, the Imaging and Printing Group enjoyed an impressive turnaround. In all but two of the unit sales and revenues categories HP reports for IPG, including overall supplies revenues, commercial and consumer units sold and revenues, printer-based MFPs and Indigo digital press pages, their first quarter numbers showed ear-to-year quarterly increases versus year-to-year decreases for Q4 2009, and in many cases, for a number of quarters before that. The only two exceptions? Color laser printers were still down, but by a trifling 1%, and Indigo pages registered an up-tick over Q4's (and recent history's) consecutive series of gains. More on the commentary in a coming blog post, but for now, congrats HP! HP LaserJet -- dubious distinction? Some of my readers may view my efforts here as being somewhat pro-HP, understanding (or not) my background of having spent a long career with the company, mostly in their printer business. In the interest of balance, I offer this somewhat less glowing "tribute", with a LaserJet "feature" (pictured above) showing up in Technologizer's Top 15 Design Mistakes. 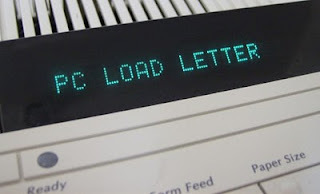 The long-ago "PC Load Letter" makes it as #13 on writer Benj Edward's (@benjedwards) top #15. (I will make you hit the article directly to find the other Printer entry on the list.) But one answer not revealed in the excellent summary by Edwards? What's the LaserJet model, and year of introduction? First correct answer wins a vintage piece of LaserJet memorabilia! On January 19, Stratasys, a leader in the field of 3D printing systems, announced an agreement with printing industry titan HP. Under the terms of the deal, the Eden Prairie, MN-based Stratasys will "manufacture an HP-branded 3D printer" based on the company's “patented Fused Deposition Modeling (FDM) technology” that is found in products used for rapid prototyping by product designers and architects. Without going into a full description of 3D printing (check Wikipedia for a good basic description), this technology’s relationship to HP’s existing printing business actually makes a good deal of sense. I remember first hearing about “3D Printing” about ten years ago as an HP employee working with the “new and emerging businesses” unit of what is now HP’s Imaging and Printing Group (IPG). After seeing some demos and sample “output” (prototype pieces and parts made of a dried clay-like substance that were built by spraying layers of the material in a semi-liquefied state through ink jet-like heads and then drying into the hardened final product), I wondered about the investigation into 3D printing. The “3D” made sense, even going back to my early days at HP when in the early 1980s, HP offices cranked out numerous slides and graphs using “2D” flatbed pen plotters, which were also predominately used by HP customers for drafting and design output. This was an era when office workers had a printer choice of the green-bar units in the data center and noisy daisy-wheel models that were intruding on electric typewriters, some of which were sporting tiny amounts of memory to perform a far-out task known as “word processing.” (By the way, the standard hot-air hair dryer was a convenient accessory to have on hand, especially for the stubborn-to-dry transparencies.) While the ink-filled “pens” were replaced by ink cartridges over the next several decades, their legacy lived on with the commonly used internal label of “pen” being used for the cartridges, for many, many years after their physical demise. Based on the use of common technologies to “deposit” ink or another liquid in either one layer (with ink in 2D) or more (with liquefied modeling material in 3D), HP’s interest in looking at leveraging its investment in ink jet head technology and the related mechanics and electronics makes sense. However, leveraging technology to enter new markets can be highly risky and prone to failure. Let me take you back to another personal experience gained at HP and a great example. Office printing and commercial printing were originally seen as similar as they shared a common technology, but the customers were in many ways completely different in their practices and sensitivities, and in the parlance of the marketing profession, their user needs. It has taken years for HP to learn how to be successful in commercial print by understanding those customer needs and fulfilling them. 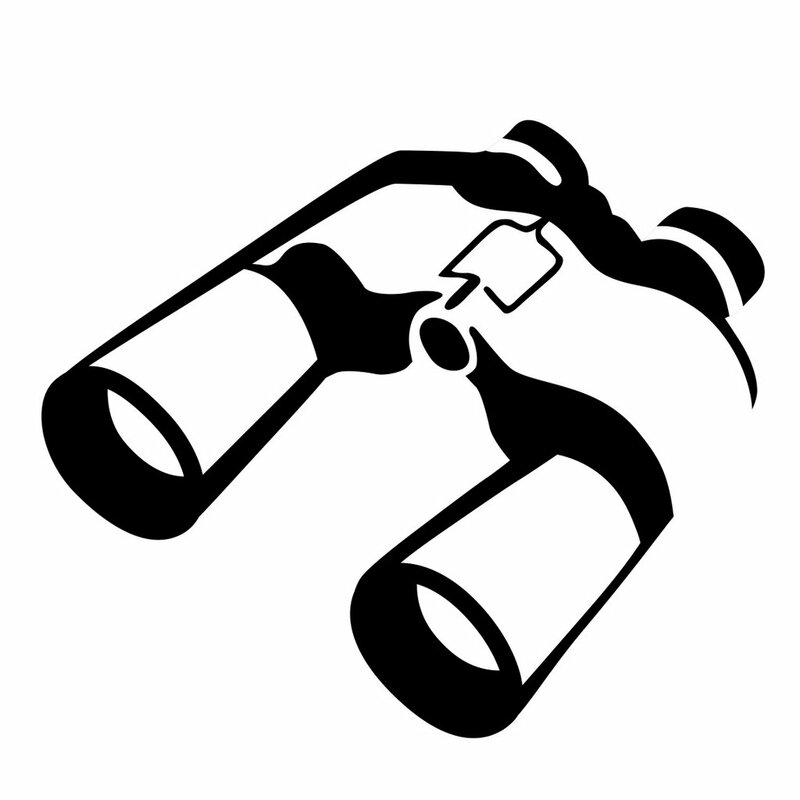 Understanding this first step into the field by HP, 10 years after my exposure to internal investigations, sheds a bit more light on HP’s interests and leads me to a very positive interpretation of this move, as one based around customers and not technology. According to the release, “HP will begin a phased rollout of the 3D printers in the mechanical design (MCAD) market in selected countries later this year, with the right to extend distribution globally.” So the headline of a brief PC World article following the announcement, “3D Printing Coming to the Desktop,” is misleading, at least to those of us who read “desktop” and think of desktops residing in every office in the world, where millions and millions of printers and all-in-ones are already headed each year. The press release further states that current Stratasys printers (and we assume future HP-branded versions) are “used by product designers and architects [to] create three-dimensional plastic models directly from 3D digital designs.” In addition, it is telling who and where in HP the leadership for this new entry is coming from: HP’s Large Format Printing Business. In prepared remarks, Santiago Morera, HP vice president and general manager of that group, said, “There are millions of 3D designers using 2D printers who are ready to bring their designs to life in 3D…Stratasys [offers] the ideal platform for HP to enter the 3D MCAD printing market and begin to capitalize on this untapped opportunity." So this “toe in the water” move by HP might be exactly the right step, for a market that today is measured in hundreds of millions of dollars and not the billions of dollars that HP is accustomed to targeting. HP can add to its product portfolio in an area where the firm already has a strong customer base and provide additional products and services to a customer set where some will undoubtedly welcome an HP-branded (and supported) solution for 3D printing. So is the 3D imaging process equal to printing? Not really, at least in terms of printing as defined as a medium for dissemination of words and images. Is it ink jet? Not really, either, at least not HP ink jet as we know it. But it is absolutely a customer base where HP already has a presence and can sell more. In addition, the long-term outlook is open-ended, as envisioned in the conclusion of the PC World piece. Writer Chris Head concludes, “Assuming HP-Stratasys can continue to lower the price of their desktop-style rapid prototyping machines, it may not be long until we're printing our own household items as-needed, and one step closer to a Star Trek-style replicator.” Now that’s a future vision! Toner request for quote - strange! Every once in awhile, something comes along that is so off-the-wall that I just have to document it here, just to share with the outside world. In this case, a close friend and former printer industry executive, but long moved on to bigger and better adventures, passed this email along with basically a "what the ...?" reaction. Please advise your unit pricing as we would be buying up to like 10 to 20 units of each of the aforesaid items at a time on one transaction for our upcoming project. prepared for the payment as soon as we receive the quotation from you. Thanks so much for your anticipated business relationship and cooperation and hope to read from you soonext. Lyra's Hard Copy Observer is out with a story this morning, "Apple’s iPad—Is Printing Weakness an Achilles’ Heel?". Interesting thought, no? The article, which (full disclosure department, I had a hand in, in my role as contract writer for the Observer), is available as free content and I would be pleased if readers checked it out.